Scratch & Dent. Vintage IC. New IC. Rediscovered posters from the vault, you name it. 8 random posters from the archives for a measly $25 until they are gone. Go! We recently had the pleasure of working with Live Nation and Cirque du Soleil to promote their new show, Kurios, for its debut at Seattle’s Marymoor Park on January 29th. 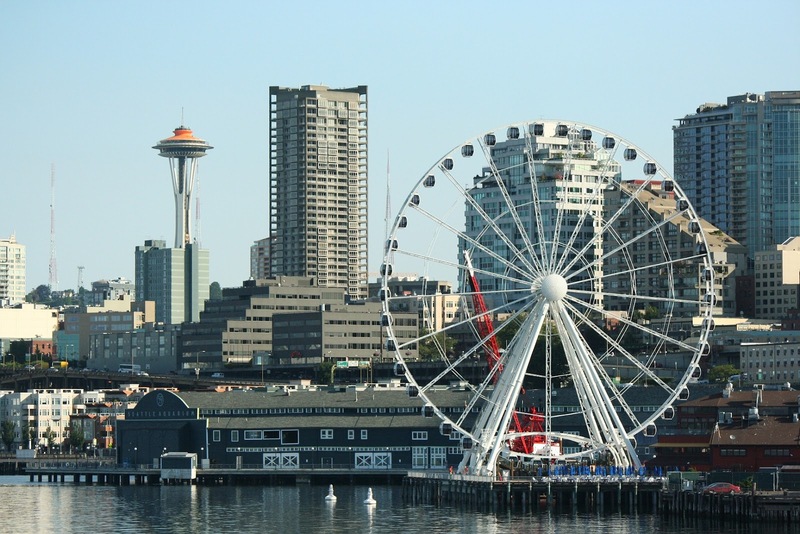 The idea was to incorporate elements of the show into recognizable Seattle landmarks - The pipes of Gas Works Park bend to reveal one of the show’s main characters, while the circular focal point of the stage design makes up one of the city’s more recent waterfront additions, The Great Wheel. We worked with the amazing Vahalla Studios to produce the screen prints, and you can currently see the posters plastered throughout Seattle's Downtown. We also have a limited amount in our shop. Special thanks to Brad Gentry and Live Nation. We can’t wait to see the show! We're extremely thrilled to take part in the campaign for a new film titled Gennadiy. Our friends, Steve Hoover and Danny Yourd, the visionaries behind the powerful and moving Blood Brother documentary, have been hard at work on this incredible film and are now looking to finish the project with a little help from you. Visit the Kickstarter campaign here, where you can view the trailer, read about the film, and learn all the ways you can contribute to ensure its completion! Once the campaign reaches $10,000 the poster that we created for the film will be revealed. Oh Summer, where art thou? It's always a pleasure working with Josh Lackey and our friends at Vulcan Real Estate. Here is our poster art for the 2013 South Lake Union Block Party, happening Friday August 9th and benefitting The Center For Wooden Boats. Printed on 80 lb. Cougar Opaque stock. See you at the beer garden. New posters for Holy Ghost! and Black Rebel Motorcycle Club for this year's Sasquatch! Festival. Available for purchase at 10AM on May 20th. See them on display at Vermillion in Capitol Hill starting May 18th, 7PM. 21+. What happens when two ex-Altec Lansing guys, an architect/furniture designer and a liquor industry operational expert come together? Grain Audio. Check out the great video and bio over at their Kickstarter page to learn more. Better yet, pledge some of that hard-earned cash and make this dream a reality. The products are beautiful and they sound even better. We even designed a poster to help seal the deal. Go! Our friend, photographer John Keatley recently commissioned us to create a poster for his upcoming (and aptly titled) Un-Workshop. John is known for thinking outside the box with his high-concept and innovative portraits - so we thought it'd be fun to envision just what is going on inside his head on any given day. Unfortunately you'll need to wait until Feb. 2nd and 3rd to actually find out (sign up here! ), but in the meantime we can all just imagine it looks a little something like this. Limited edition, signed and numbered 5 color silk-screened posters printed on French Muscletone available at the workshop. Go! We created 3 posters for Morrissey's upcoming (and now cancelled) tour stops here in the northwest. Seattle, Bellingham and Portland. Sold as a set and individually. In the shop now. Last year we had the pleasure of helping our friends at Chipotle launch their first-annual Cultivate Festival. Bringing together food, farmers, chefs, artisans, thought leaders and musicians from around the globe, the festival was a resounding success. So, naturally we were thrilled when they asked us to come back this year. Our mission? To create a fresh and fitting sequel that continued the Cultivate brand we established in 2011. This year it's twice the fun with Cultivate happening in Chicago on September 15th and Denver on October 6th. See you there! Josh Lackey and our friends at Vulcan commissioned us to create a poster for their 2012 South Lake Union Block Party happening on August 10th. Printed on uncoated stock and available in the shop now. See you there! Here's our poster for Active Child's performance at this year's Sasquatch! Music Festival. Available for purchase in the shop soon! Here's our poster for Bon Iver's upcoming Sasquatch! Festival set on 5/27. In the shop on 5/28. Here's our new poster for the upcoming M83 show at The Paramount on April 26th. 3 colors, including dark metallic copper. In the shop April 27th.